Generally, gas purifiers are used to purify gases in a process stream. In fact, these gas purifiers are used to reduce or eliminate point-of-use impurities in gases such as methane, nitrogen, oxygen, hydrogen, and carbon dioxide. A gas purifiers are most suitable to remove moisture, hydrocarbons, oxygen and other impurities that can decrease yields or form oxides and hazes. As we know, gas impurities can also cause distribution leaks, improper purging, and system breaches. That's why, some gas purifiers even use a multiple bed format and special sorbents. On the other hand, other gas purification products use adsorptive materials to capture and retain hydrocarbons and halocarbons. Gas fittings are used to connect gas purifiers to gas lines. In general, better systems contain fewer fittings since each connection in a gas delivery system provides the potential for leaks. At the same time, a manifold system features two compression fittings and an O-ring gas fitting for each cartridge. A contaminant trap is supposed to have at least eight fittings before the gas supply reaches the gas chromatograph (GC). Typically, all gas purifiers are equipped to provide early warning signals whenever the gas stream becomes contaminated. Additionally, the gas purifiers with automated valves allow for the ability to isolate or bypass the purifier if an abnormal amount of contamination is encountered. 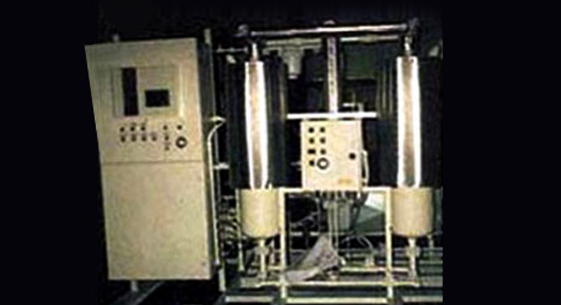 A gas autoclave is a pressurized device that allows solutions such as liquid carbon dioxide to be heated to temperatures above the boiling point of water. A gas filter is designed to remove contaminants with relatively large particle sizes.